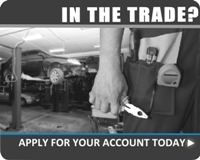 LA Distribution have been supplying the Automotive trade in Ireland since 1998 but our experience in the business goes back to the early eighties when we became a major supplier to the auto electrical repair trade. 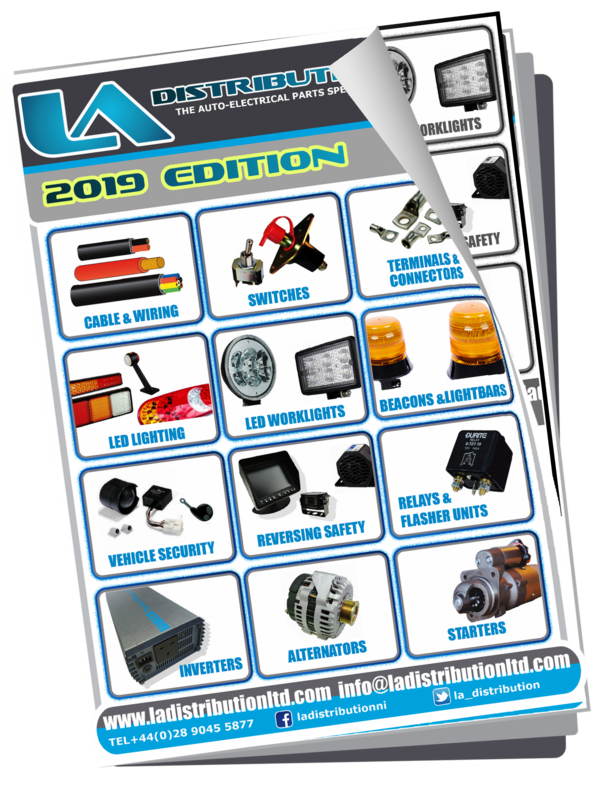 We are now one of the largest stockists of rotating electrics and lighting products in Ireland supplying a vast range of Auto Electrical accesories, from terminals, relays, fuses and switches. We have been supplying cable to the automotive industry for thirty years or more to sectors including auto electrical rebuilders, coach builders, machinery manufacturers, vehicle loom makers and control panel makers. And just about anything in 12v and 24v DC that requires rewiring. If you let us know the specification and the length of roll of the cable you require we can fulfil your order very fast. Many of the cables we stock can be supplied by the metre but you will need to check with us by phone on +44(0)2890 455877 or email info@ladistributionltd.com. For further information and more in depth detail of cable and wiring products you are more than welcome to visit our partner supplier’s website at www.automarinecables.com. We are highly specialised in supplying Alternators and Starters for various vehicle applications. 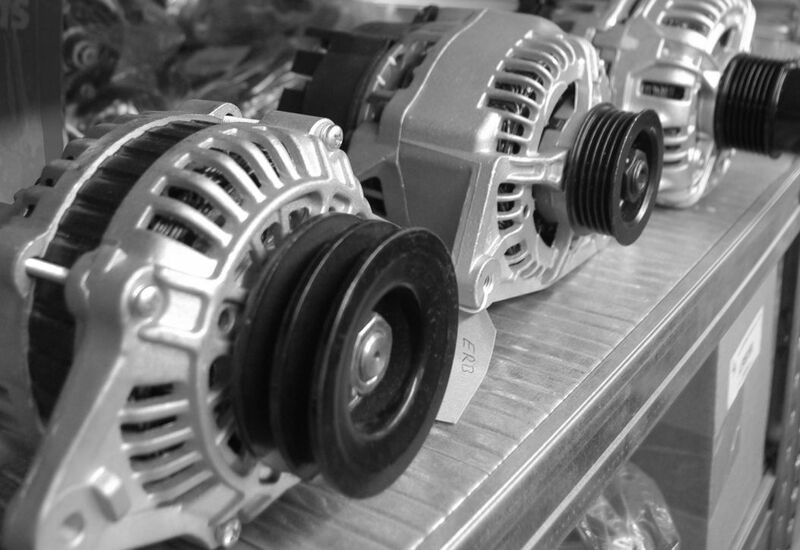 Although at present we only list a limited range of starter motors and alternators online, we are one of Irelands largest stockists of rotating electrics listing up to 20000 part numbers. Our units offer exceptional value for money and will be much cheaper than dealer prices. We stock units covering car, commercial, agricultural, plant and marine applications and the vast majority of these are brand new manufactured and not rebuilt from old core. From an environmental point of view we work closely with a core dealer in the UK who recycles all the material from old units and also rebuilds them for other markets worldwide. We collect a lot of old core to prevent it ending up as landfill. 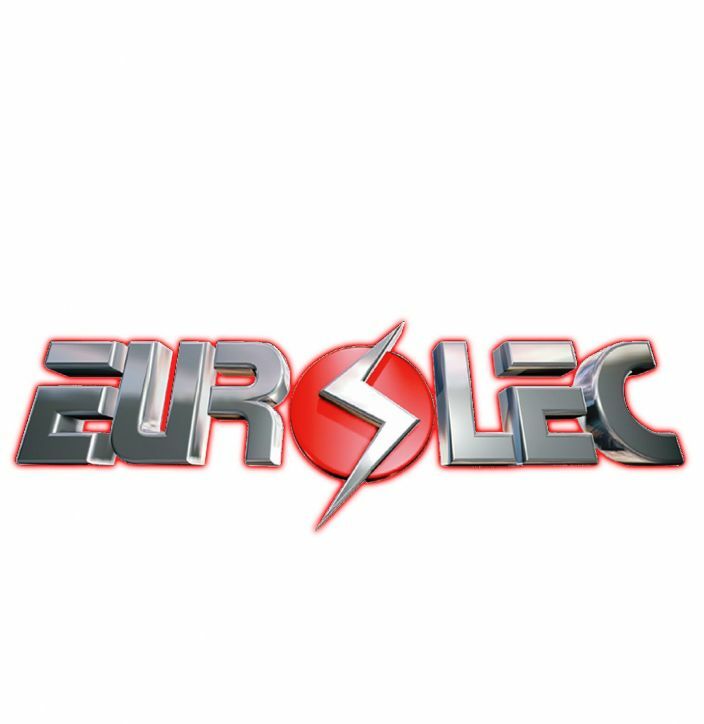 The brands we stock include Eurolec, World Power Systems, Lucas, Denso and Prestolite. All starters and alternators come with a one year no quibble warranty. At LA Distribution we have staff with a high level of technical knowhow regarding rotating electrics so you can be rest assured of help and advice when making a purchase through to its installation. As it is important to have the correct details of the vehicle when ordering a starter or alternator it would be better to pick up a phone and call us on +44(0)2890 455877 to speak to one of our expert advisors. You will need to have the model and year of your vehicle and the engine size and number if possible. On plant machines and some commercial vehicles if you can find the part number stamped on the actual unit this would be ideal. We can also in many cases look up your part using your registration number as we have access to the electronic VRM application system. (This is only for use with UK registered vehicles) If you prefer you can email us with all your details and we will respond very quickly with a price and availability of your requirements. On a regular basis we will also list starters and alternators on special offer so please check the site in case your unit is listed, the price saving could be considerable. Being a family run business LA Distribution provides a friendly professional service and our staff members have a good technical background. We have a reputation for listening to what our customers want and we will always strive to provide you with your requirements. You are welcome to visit us at our warehouse situated in Belfast and deal with us direct. We are a real company with a sales counter staffed with real good guys who know what they are talking about. We hope you enjoy your stay on our website and that you find what you are looking for. But if you are not sure about something do not hesitate to pick up the phone and call us on +44 (0)2890 455877 any time between 9 am to 5.30 pm Monday to Friday - or use our call back request form and we will give you a call!